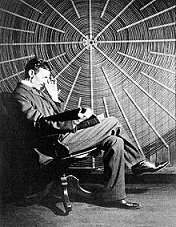 Nikola Tesla and his Tesla inventions are very well known to people in the field of science and electricity, but not necessarily known to the general public, today. He is a tragic figure – an influential inventor, with hundreds of patents to his name and even more ground breaking ideas, who never really received the recognition and fame he deserved during his lifetime. The story of his life and the stories and documents surrounding some of his inventions, depict a character not far off what we would envision as a ‘mad ingenious scientist’ in popular culture today. Nikola Tesla was a Serbian born inventor, who later moved to the US and acquired his citizenship there. He is most well-known for his inventions in the field of electricity and electrical engineering. He is considered one of the greatest electrical engineers in history. Even if you have never heard of Nikola Tesla, you might have heard of the most famous Tesla invention and the one that brought him real fame: the invention of the AC induction motor. Electrical currents exist in two forms -in direct current (electrical charge flow in one direction, known as DC) and in alternate current ( known as AC – electrical charge flowing in both directions). Tesla came up with a motor, an engine, that allows the use of alternate current, thus improving its abilities and efficiency. This Tesla invention is actually responsible to the alternate current system which is still in use today, a concept he came up with at the turn of the century. The story that surrounds this famous Tesla invention is worth telling - it involves all the ingredients of a good novel or a movie. Nikola Tesla's greatest mentor and well known inventor, Thomas Edison, has become his greatest competitor and adversary, in the quest to shape the way electric power will be distributed. Edison was pushing towards the use of DC - direct current, while Tesla was a proponent of alternate power - AC. Tesla's concepts eventually won the 'war of currents'. Why is he considered a tragic figure? Well, despite all of Tesla inventions, some of which literally changed the way we live today, and some say were ahead of their time, Tesla never really received the recognition he deserved. He died penniless and alone in 1943. 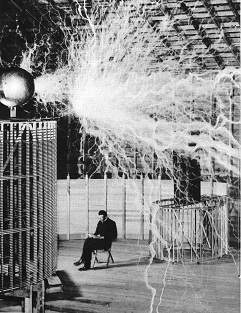 Why was Nikola Tesla so under appreciated, when others in his time gained long term fame? (for example - Edison and Marconi, both electricity giants, who lived at the same time). Some say Nikola Tesla failed to make the right business decisions and network well. Others claim his ‘mad scientist’ qualities, exuberance and imagination – the same qualities that helped him come up with some of his most inventive ideas, worked against him, portraying him as a bit unstable. Towards his last years, he played with many concepts and ideas that at the time seemed to be bordering on magic, and his obsession with making them happen, discredited many of his experiments and his other achievements, in the eyes of the influential protagonists of the period. Many of Tesla inventions and patents, didn’t end up being used, in the exact way he intended for them. 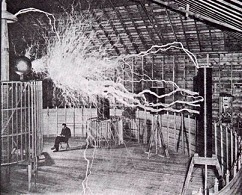 Some of those include his high frequency lighting ideas, a magnifying transmitter, wireless power (Tesla was the first to come up with the concept of power moving without wires and contributed to the invention of radio) or the free energy receiver. All those inventions are valid and patented, and some people believe their intended use was hushed out, by corporations, to prevent people from enjoying electricity for free. If you are interested in reducing your electricity bill and in green energy, check out these two products that are based on Tesla's work: This successful product which is based on tesla's inventions and concepts, and this one, which consistently receives great reviews. They both help create green energy, at home, without relying on the electricity companies, and without paying them. They save people money through self generation of electricity, based on Nikola Tesla inventions. Tesla's inventions are numerous, and there are more than 250 patents to his name, but he never really enjoyed a big financial success due to them. He had a bigger dream: To provide free energy to all.